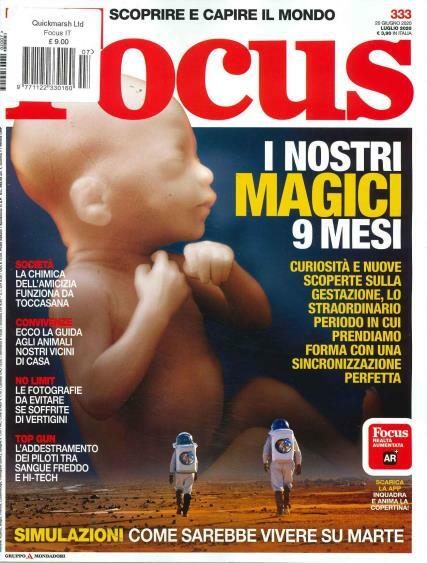 Focus is an Italian popular science magazine that has been in distribution since 1992. Buy a single copy or subscription to Focus Italian magazine. Read the English translation of this Italian magazine and its articles. Exports are driven by Lombardy aerospace giants”. In other words, Italy is staying out of the European recession pool by aerospace companies, automotive and textiles manufacture who export Italian goods around the world. These articles focus on the Milan countryside that is home to Italian industry. Great magazine. My father loves it and looks forward to each edition.